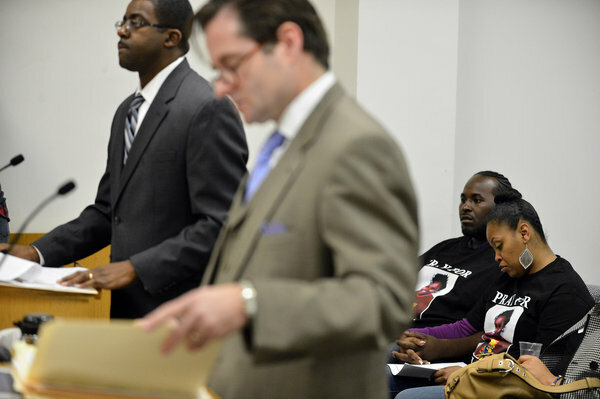 #JahiMcMath: Could her case change how California determines death? 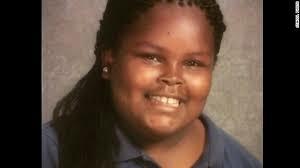 If Christopher Dolan gets his way, the Jahi McMath case may change how California determines when death occurs. Dolan, a San Rafael resident who has gained newfound prominence as the attorney for Jahi’s family, hopes to mount what may be the nation’s first challenge to a law linking end of life to brain death. Families — not hospitals, judges or governments — should decide when treatment stops on a loved one, Dolan argues. And if a family believes life stops when the heart stops, based on religious beliefs, a government should not have the power to interfere with their constitutional right to practice those beliefs. It’s a daunting fight in an arena with no legal precedent. Experts say it is possible that the case of the 13-year-old Oakland girl, declared brain dead after tonsil, throat and nose surgeries to relieve her sleep apnea, will set new rules. California’s Health and Safety Code 7180 is states that an individual who has sustained “irreversible cessation of all functions of the entire brain, including the brain stem, is dead.” But citing their religious faith, Jahi’s family has insisted she is not dead, noting she continues to breathe and her heart beats with the help of machines. Other cases around the country involving families of brain-dead patients have provided brief courtroom bursts, but no firm judgments. “This is a hot area because there’s a lot of growing interest in religions versus medicine,” said Thaddeus Pope, a law professor at Hamline University School of Law in Saint Paul, Minn.
“If the courts don’t touch it, we will still have a policy vacuum,” said Pope, who maintains a blog on end-of-life legal cases. Dolan points to Alameda County Superior Court Judge Evelio Grillo’s granting of a temporary restraining order in the Jahi case as a legal framework for future California cases. 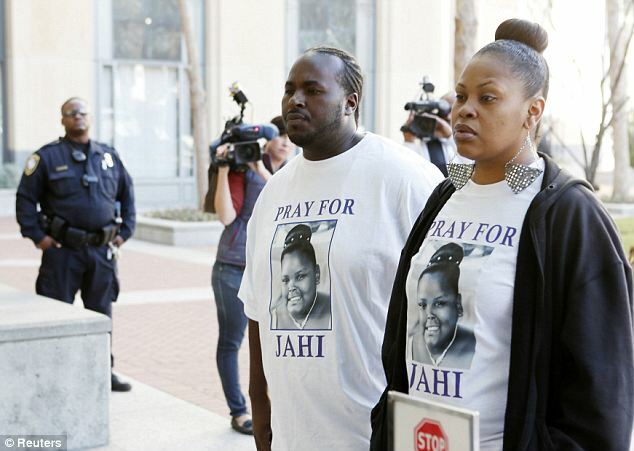 The court ordered Children’s Hospital Oakland to keep Jahi on a ventilator while the family searched for a facility that would accept the body and continue measures to sustain a heartbeat. The hospital and family reached an agreement to remove Jahi from the hospital, and she was moved to an undisclosed location on Jan. 5. A federal lawsuit lost its urgency once that occurred, but is still pending. Grillo’s ruling was “the first time in a California court there’s a written opinion that parental rights exist following the issuance of brain death,” Dolan said. To challenge the state’s death laws, Jahi’s family would have to amend their federal lawsuit to ask for relief, such as a court declaration about the hospital’s conduct regarding its refusal to recognize a religious exception, and a prohibition against doing it again. So far, the family has been reluctant to give Dolan the go-ahead to continue the court battle. But Dolan insists there is an important constitutional principle to be established about the rights of parents to make health care decisions, as well as limits on government meddling. “If (the government) decides when life ends, they also might try to decide when life begins,” the pro-choice attorney said, alluding to abortion rights. Pope called Dolan’s constitutional arguments a “long shot” but possible, given that New Jersey and New York have clauses in their laws allowing families with religious beliefs to use cardiopulmonary death instead of brain death to determine the end of a loved one’s life. However, those religious options were added through legislation, not the courts. Pope stressed Jahi’s family would need to prove their religion believes death occurs when the heart stops beating. But UC Berkeley Boalt Hall law Professor Emeritus Marjorie Shultz, who specializes in medical ethics, said the family’s personal religious beliefs cannot compel a hospital to abide. “The thing that might have weight is our knowledge of the brain is still quite limited and we have a tendency to confuse what we can measure as a fact,” she said. However, Shultz said it would likely take the Legislature to craft a similar law to those in New Jersey or New York to make any real change. Dolan’s other two legal arguments involve the Federal Rehabilitation Act, saying hospitals that receive federal funds cannot discriminate against disabled people, as well as the Americans with Disabilities Act. Dolan said Jahi’s medical state put her into that category. Pope called these arguments “close to frivolous,” considering state law deems Jahi deceased, not disabled. He said Dolan’s efforts to date have already created some “dangerous” legal history with Grillo’s restraining order rulings. “It’s not precedent in rights under California law, but it definitely is precedent for all other parents knowing that they can probably get a few more weeks extra time by going to the court system,” Pope said. Such tactics have already been used elsewhere. In 2008, a Washington, D.C., children’s hospital asked a judge to allow them to remove a 12-year-old brain-dead boy from his ventilator. Doctors said the Orthodox Jewish boy’s brain ceased to function after he failed to regain consciousness following brain cancer surgery. However, the religious beliefs of Motl Brody’s family held that life ended when the heart stopped beating; in that case, the family did not consent to the hospital performing additional brain-death tests. With a court hearing looming, his other organs began to fail and attorneys from both sides jointly agreed to call the judge to cancel further legal proceedings, Zuckerman said. Days later, Motl’s heart stopped as he lay in his hospital bed. In 2004, Utah parents fought to keep their 6-year-old son, Jesse Koochin, on a ventilator after his bout with brain cancer left him brain dead. A judge ordered him released from the hospital to his parents’ care, and his heart stopped about three weeks later. Giving families the power to declare death could have significant ramifications, Shultz said. But Dolan believes the issue needs to be settled, and soon. In 2004, Utah parents fought to keep their brain-dead 6-year-old son, Jesse Koochin, on a ventilator at his hospital after his bout with brain cancer. A judge ordered him released from his hospital to his parents’ care; his heart stopped about three weeks later. In 2006, 14-year-old Michael Todd, of Kansas, was declared brain dead at a Kansas hospital after being shot in the neck. His mother questioned that diagnosis, saying her son still made movements and responses to her; she received a restraining order. A settlement was reached between the family and hospital for an independent doctor to examine the boy. The brain-death diagnosis was confirmed and the family removed the ventilator. In 2006, a Kansas family received a temporary injunction to keep 2-year-old Brett Shively Jr. on a ventilator after a drowning accident led doctors to declare him brain dead. The family would not consent to approve the final brain-death test, and a judge ruled that physicians must treat him as a live patient. The hospital agreed to release the boy to his family but appealed the judge’s decision because it believed the ruling set a dangerous standard. An appellate court reversed the lower court’s decision. It’s unclear how long Brett remained on the ventilator. In 2006, a family got a judge to grant a restraining order to keep a 72-year-old Buddhist man on his ventilator to allow his heart to eventually stop, per his religious beliefs. The family eventually relented. In 2009, 22-year-old Christian Lanciano overdosed on heroin and was declared brain dead by a West Virginia hospital. Lanciano’s mother sought and was granted a restraining order to prevent the hospital from removing her son’s ventilator. She dropped her legal fight and allowed doctors to remove his ventilator once she was convinced of the diagnosis. So, in other words Chris Dolan is using a brain dead teenager’s grieving family to benefit himself. Shameful. I am the attorney who answered a call for help from Jahi McMath’s family in December. I have represented them for free — starting 10 hours before the first order to turn off Jahi’s ventilator at Children’s Hospital Oakland — as they have fought for their right to make medical decisions for a beloved child. Despite the incendiary, hateful public rhetoric that has surrounded this case, I believe that self-interest alone should lead most Americans to thank Nailah Winkfield, Jahi’s anguished mother, for her courage. 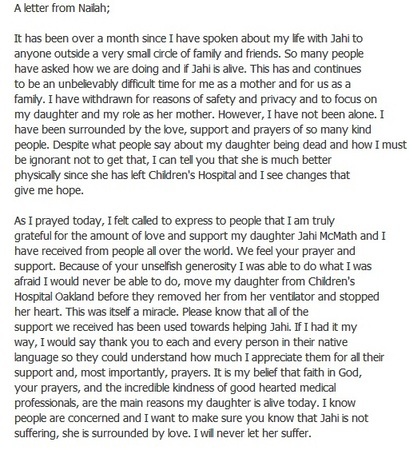 What happened to Jahi at Children’s Hospital Oakland will most likely be a matter of litigation. But if you were Jahi’s mother, would you want the doctors and hospital authorities you believed had contributed to — or even caused — your child to be declared “brain dead” making final decisions about her? Over my legal objections, Nailah Winkfield was cruelly made to go to the Alameda County Registrar of Births and Death to get a “death certificate” in order to move Jahi out of the hospital to a site where she could receive care. It required the intervention of the coroner because, at first, even the official at the agency didn’t want to issue the certificate — after all, Jahi was connected to a ventilator and her heart was still beating. Those who condemn Jahi’s family appear to have no idea that doctor-decreed “brain death” is not sufficient as a declaration of death everywhere in the United States. In New Jersey and New York, for example, there is accommodation for those who do not accept “brain death” as the appropriate criterion. According to New Jersey law, “the death of an individual shall not be declared upon the basis of neurological criteria … when such a declaration would violate the personal religious beliefs or moral convictions of that individual.” The McMath family’s position isn’t ridiculous or unheard of. There would have been no legal battle if Jahi had had her tonsils out in New Jersey. And the rush to abrogate Nailah and Jahi’s constitutional rights is as reprehensible as the widespread ignorance about the limits of “brain death.” These rights include the 1st Amendment right to freedom of expression of religion, and the 4th and 14th amendment rights to privacy and personal liberty. Those who attack Nailah’s decision and who are “pro-choice” on the issue of abortion should think hard about the fallout from their insistence that the family’s personal and private decision about when life ends can and should be overridden by doctors or the state. The same rights that support the choice made by Nailah also support contraceptive rights and abortion rights. Nailah’s fight is the fight of a loving mother for her child. 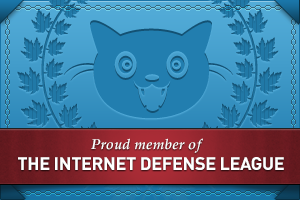 It is a fight for privacy in the making of a medical decision. It is a fight for a strongly held belief in the miracles and mercy promised by the Bible. Apparently the people (Some are respected Drs who specialize in Neurology and medical ethics, others are nurses who have worked in an ICU for years) who think it’s cruel to leave this 13-year old brain dead child on machines are “Self-righteous?” Chris Dolan get that ego in check sir. No one said the family is stupid. They are mis-lead by people like you, The Shivo family, and Dr. Paul Bryne. You guys keep the hope alive that somehow Jahi will suddenly wake up. It’s safe to say, she never will. My question for you is how do you feel getting famous off the suffering and grief of Jahi’s family? Is Paul Byrne, M.D. 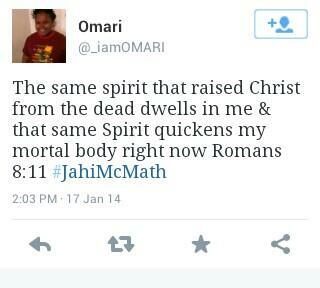 Treating #JahiMcmath? Paul Byrne, a Neonatologist NOT a Neurologist has written another “article of his opinion” on the Jahi McMath case. Is he the Dr. treating her or is his opinion not based on examining Jahi? He talks about the part of our brain that regulates temperature/hormones called the hypothalamus. He says Jahi’s hypothalamus regained function and therefore she cannot be dead. This is deeply significant, because the human body relies upon the hypothalamus portion of the brain to conduct the temperature-regulating function. More to the point, Jahi’s brain was still functioning to a notable degree, at least during part of the material time of the famous/infamous “brain death” declaration. And her brain would continue to function for at least as long as she is still able to self-regulate her own body temperature. To wit, Jahi’s brain, then, obviously did not fulfill “irreversible cessation of all functions of the entire brain,” the wording of the Uniform Determination of Death Act (UDDA). How exactly would he think this part of Jahi’s brain is functioning? Has he actually examined her? Is he the doctor who inserted her trech and g-tube? He is not a neurologist nor does he know anything about the brain function of a child. Unless he physically examined her, he would not know anything about Jahi’s current condition. His “opinion” would be invalid.